The DEWALT Surface Grinding Shroud allows the collection of harmfull dust during surface grinding applications. 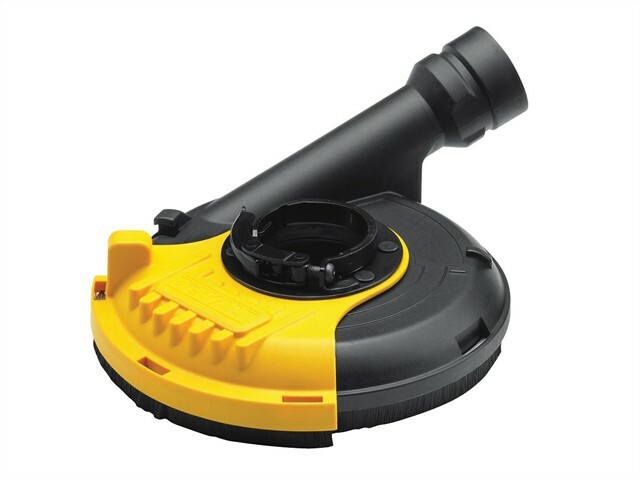 It attaches directly to 115mm or 125mm DEWALT Grinders with a keyless clamp. The shroud's sliding section allows access to corners and surfacing to edges. It is AIRLOCK compatable for a quick, locking attachment to a vacuum hose.